Resource Teacher of Learning and Behaviour Kate Endri with children who are transitioning into school in Upper Hutt. She’s hopeful Communities of Learning will speed up work on better transitions…. Resource Teacher of Learning and Behaviour Kate Endri with children who are transitioning into school in Upper Hutt. She’s hopeful Communites of Learning will speed up work on better conditions. Resource Teacher of Learning and Behaviour Kate Endri with children who are transitioning into school in Upper Hutt. She’s hopeful Communities of Learning will speed up work on better transitions. 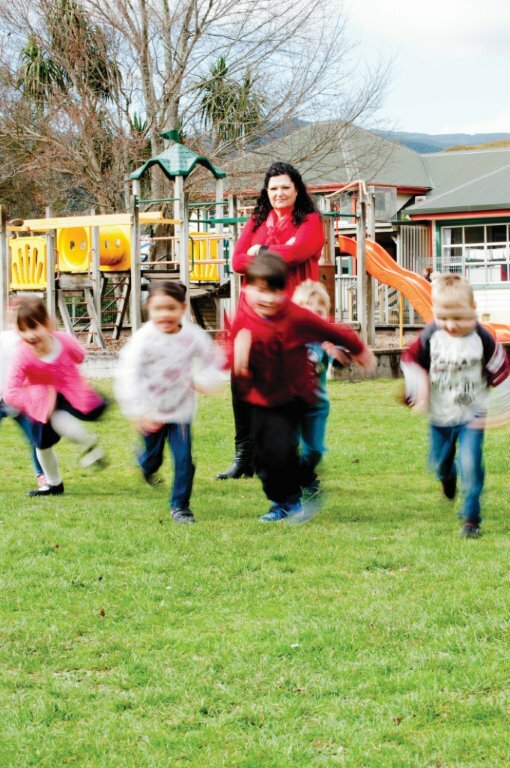 Eight years ago, when Upper Hutt RTLBs and the Rimutaka Kindergarten Association invited expressions of interest from local schools and kindergartens to attend a session on transitions, Kate Endri expected a handful of responses. Instead, every single invitee accepted. The steering committee surveyed both groups and found quite different expectations. At primary, the emphasis was on academic readiness while kindergarten teachers were looking holistically at the child and at dispositions. There was little shared understanding of the guiding documents or the processes of each setting. Since then, a great deal of knowledge and work has been shared. The work has also led to better engagement with families. There was a great deal of unity about what NZEI members do want to achieve – better teaching and learning for children. But in the current political climate there is no easy way to that goal. Bargaining to build better teaching and learning is underway, with phase one of the Joint Intiative completed last term. While a sizeable majority of NZEI members voted in favour of the Ministry of Education’s offer on the Joint Initiative in September, the vote was not as clear as last year’s. The offer allows for the setting up of Communities of Learning, with more flexibility than the government’s model, Communities of Schools. “The minister and the ministry have made a number of undertakings to continue to work with NZEI members to improve the Communities of Learning model, in line with expectations, around special education, support staff and Māori and Pasifika learners. They will certainly be held to account,” says Green. The Joint Initiative changes have been rolled into existing collective agreements. Now, bargaining for new collective agreements begins. NZEI member claims are carefully constructed around building quality teaching and learning, and were strongly supported in meetings. Primary teacher claims include a simplified pay scale, more release time to assess learning, and more support for Māori and Pasifika teachers. Principal claims look at career pathways, workload and work-life balance. Both groups seek a reasonable pay increase and provisions that secure educators’ existing right to speak out as professionals, in light of concerns about the code of conduct being developed by EDUCANZ. “Employment law and government attitudes certainly constrain what we can achieve through bargaining. But it won’t be for lack of effort and passion that we achieve what we do,” says Green.